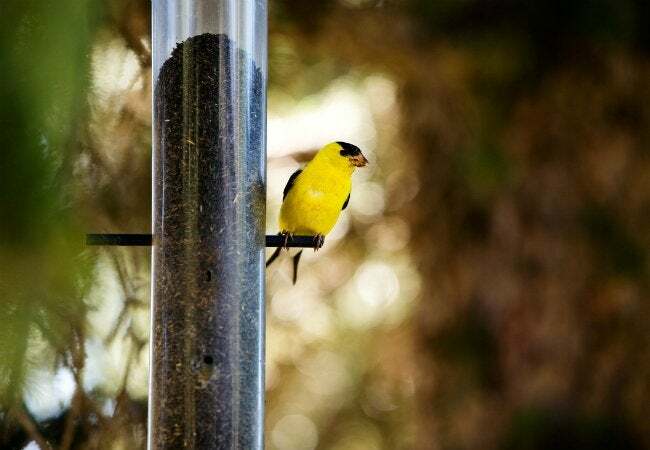 With a steady stream of feathered friends visiting your backyard, every breakfast can become a bird-watching bonanza—from the comfort of your own home! Here, an avian conservationist offers 5 smart ideas for encouraging birds to hang out at your place this season. 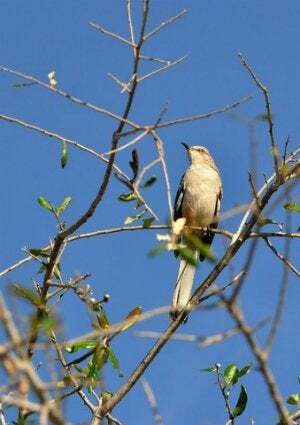 Birds eat bugs, propagate seeds, and bring your garden to life with color, movement, and song. Yet, “the greatest joy of having birds close by is they allow us to connect with the wild,” says Michele Raffin, author of The Birds of Pandemonium. “They’re way more amusing and interesting than anything on TV!” The avian conservationist rescued an ailing dove back in 1997 and now cares for more than 360 birds (some 70 of them endangered species!) at Pandemonium Aviaries in Northern California—but she says even city dwellers can invite wildlife to their own windows with the right rooftop garden or balcony plants. To enjoy a nature-filled spring and summer, read on for five ideas for encouraging winged wonders to feed, nest, and preen in your presence. “Americans spend millions on wild birdseed every year, but it’s much better to have plants that produce enough berries and seeds to support avian life,” says Raffin. “Feeders can attract predators and spread infection.” She recommends thinking of store-bought seed as a supplement rather than a steady diet. “The one exception is a hummingbird feeder—keep it filled and clean it every other day,” Raffin says. To make their sweet solution, boil four parts water with one part sugar until diluted (do not add food coloring), and cool before pouring into feeder. When translating these needs to a homemade birdhouse, know that the hole is key. “Make sure it’s large enough to let in the species you want and small enough to keep predators out,” Raffin says. And those ornamental touches you thought looked cute could inadvertently be a danger to birds; a copper roof, for instance, will get dangerously hot in the sun. If you do choose to hang a birdhouse, consider building or buying a model with a trapdoor that allows you to easily clean and disinfect (with a water and vinegar solution) after each nesting season. Finally, encourage your feathered friends to stick around by giving them advance warning of nearby predators, like your house cat. “Birds see colors better than humans do, so adding a brightly colored breakaway attachment to your cat’s collar will alert birds,” Raffin says. In fact, a St. Lawrence University study found that these vivid feline accessories could reduce the number of birds caught by cats by 87 percent. You can find collar attachments for your pets at birdsbesafe.com, but never put a regular scrunchie on a cat—it could snag and strangle the animal.